In an era where spam robo calls are a normal occurrence, it’s not surprising that Shorecrest senior Mawahib “Mo” Ismail didn’t answer the first two calls she received from a number she didn’t recognize a few weeks ago. But when they didn’t leave a message and called back a third time, she relented and answered. To her surprise it wasn’t a pre-recorded message offering a line of business credit or an offer to boost her website traffic, it was a representative from Princeton University letting her know that she had been one of only 27 students nationwide selected as a 2019 Princeton Prize in Race Relations Award winner. “In the moment, when I finally answered the phone and heard I was selected, it was really shocking and exciting,” said Ismail. And for good reason, the award includes a $1,000 cash prize and an all expenses paid trip to attend the Princeton Prize Symposium on Race in Princeton, New Jersey on April 25-27. At the symposium, Ismail and her fellow award-winners will attend presentations from national leaders and scholars as well as have the opportunity to engage in meaningful discussions about race and race relations with student leaders from across the country. She didn’t let the shock from the phone call linger long though. “Afterwards, it was just like back to normal, time to get back to work,” said Ismail. When she says she went back to work, she really means it. Ismail keeps a busy schedule of projects and initiatives aimed at giving back and making her school and community better places than they would be without her efforts. For the past two years, she has served as president of the Shorecrest Black Student Union (BSU), where she helps lead and coordinate a variety of events and activities, including the incredibly powerful and moving annual Martin Luther King Jr. Assembly. She has also helped support and guide the monthly Shorecrest Race and Equity Forums. The forums offer students the opportunity to engage in open and honest discussions of a variety of important topics. 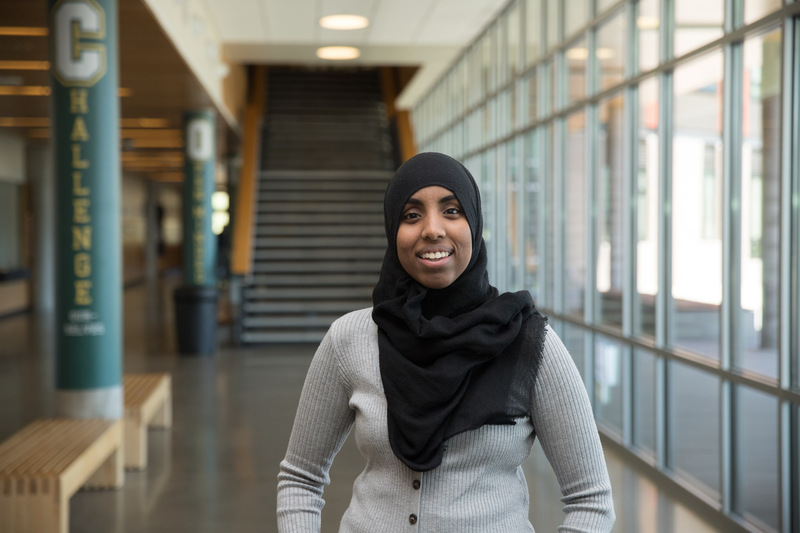 Ismail used her experiences as a leader at Shorecrest to focus on making a larger impact in her community. Last year, she worked as a Youth Outreach Leader for the City of Shoreline. In that role, Ismail helped support youth all across the community by providing mentorship, information and support to help them access programs and services that could be of benefit to them. She also helped coordinate and facilitate a forum with youth and law enforcement to help foster an open dialogue around issues of race and police brutality. The work she has done for her school and community has certainly earned Ismail a lot of fans and support, but none bigger than Shorecrest Principal Lisa Gonzalez, who first met her in middle school. “Mo is a natural leader, activist and a young visionary who is willing to ask the hard questions while also bringing people into the conversation with compassion,” said Gonzalez. “I have had the chance to watch her growth since middle school and know that this powerful young woman is launching into the world with a good head on her shoulders, a loving heart and clear eyes focused on social justice. Mo is a wonderful ambassador for our community and I couldn’t be prouder to have her representing Shorecrest High School on the national stage." After attending college Ismail hopes to continue to make a positive impact on the world around her by starting a career in social services or child protective services.